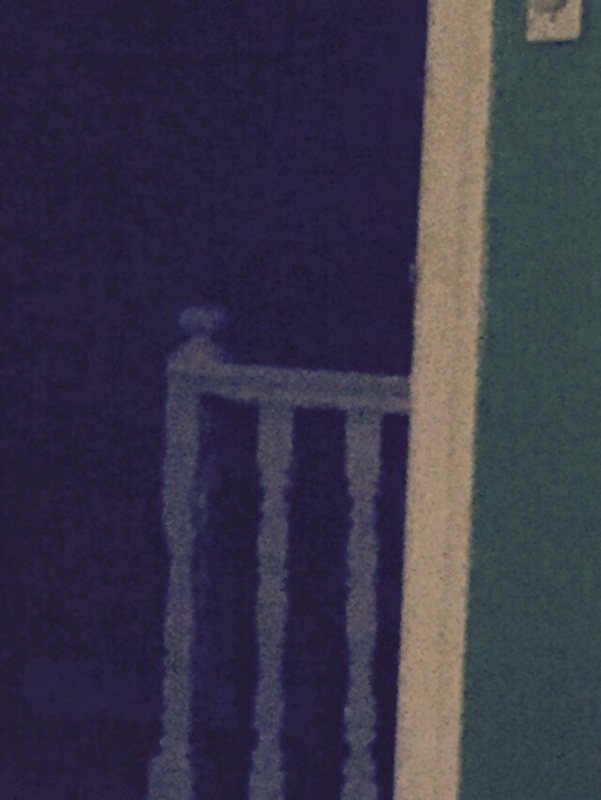 While sitting on the couch, I saw faces in the hallway across from me in the darkness. They were real and menacing. They moved slowly but were definitely present. They were perpendicular to me, but would occasionally turn their heads and look directly at me. It was a slow motion but I was keenly aware of their presence. You can barely make out their shapes between the first two posts but I am positive they are there.